Waste-water injection into the ground is highly correlated with spikes in earthquake activity in the area, according to a recently published study in the Journal of Geophysical Research. Carmen Langer had just left his bed to grab a drink of water when he felt his house northeast of Peace River, Alta., begin to shake. “At first I thought I wasn’t feeling very good that day... and it was just my blood sugar, but no, it shook pretty good,” Langer said about the Nov. 2 incident. Moments after the shaking stopped, his neighbours were calling, asking if he had felt what they just felt. “After a few minutes, I realized it was an earthquake,” Langer said. 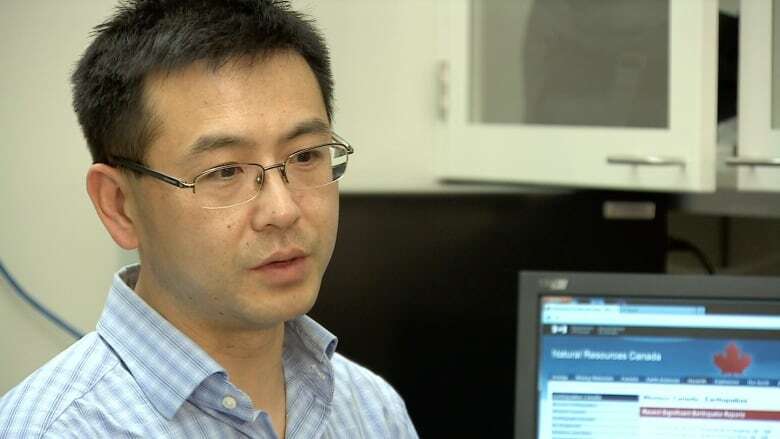 Jeff Gu, a seismologist at the University of Alberta, said the earthquake could have been caused by shifting rock formations in the region — but added there could be another possible explanation. “Certainly that region is not immune to earthquake faulting, but I would say having actual earthquakes in that area is relatively recent, relatively new,” he said. Gu is one of three authors of a recently published study in the Journal of Geophysical Research, a peer-reviewed publication that looked at four years of earthquake data around Rocky Mountain House. The study concludes that waste-water injection into the ground is highly correlated with spikes in earthquake activity in the area. It is the first study of its kind conducted in Canada that links industrial activity to induced earthquakes. “The conclusion was that the industrial activities could, in some cases, potentially trigger or facilitate earthquake occurrences,” Gu said. 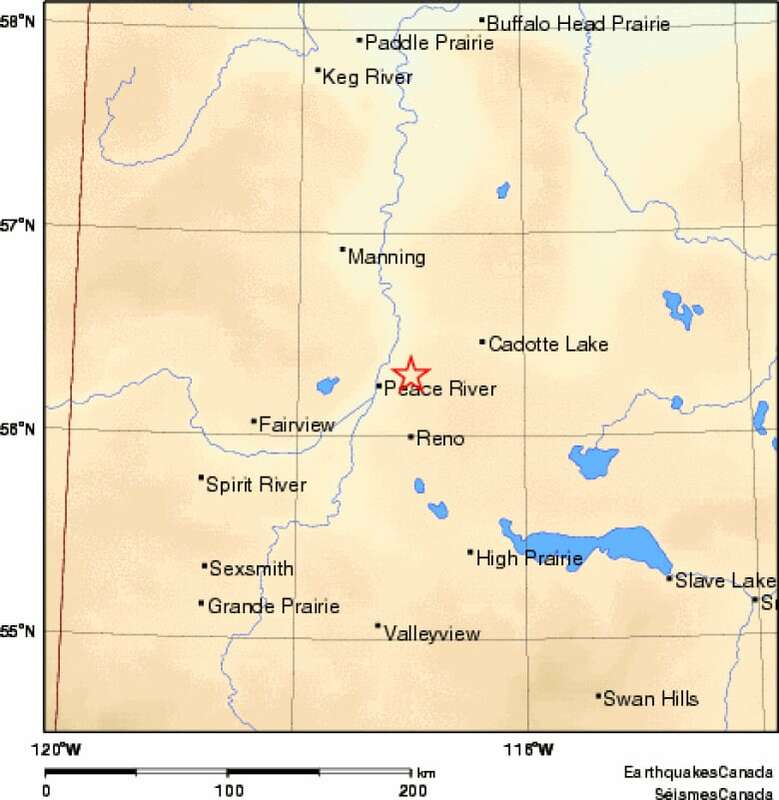 Since 1985, fewer than 15 earthquakes above a 3.0 magnitude have been recorded anywhere in Alberta, according to the Alberta Geological Survey's website. There has been an increase in earthquake activity since the 1960s, the organization says. In October, a 2.7-magnitude quake was recorded about four kilometres southwest of Banff. In August, a 4.3-magnitude earthquake was registered near Rocky Mountain House, causing about 500 customers in the area to lose power for several hours. “There has been more and more evidence, increasing evidence, in the last few years in particular — in Arkansas, in Texas and actually more recently here,” Gu said. But he said there is nothing to fear right now. “I’m not worried until we get a conclusive answer on whether these are caused by industry or not, whether they are naturally occurring,” Gu said.